Tasting the local food is one of the excitement during the trip. For traveling in Japan, there are 3 major excitements: sightseeing, food and shopping. Because the Japanese Yen is so strong on the money exchange market, so we did not do much shopping, but still testing some great food; including Udon (Japanese noodle), green tea desserts, grilled eel, sashimi (raw fish), Osaka Yaki (Japanese style pizza), Tonkatsu (Japanese fried pork), and others. 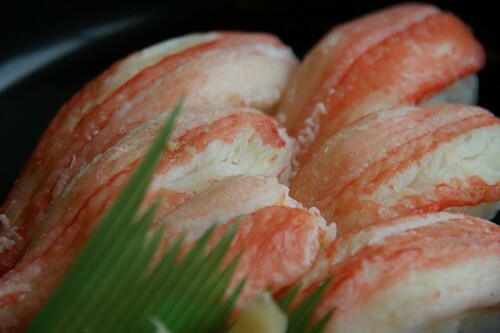 For my favorites during this trip, I will recommend 2 restaurants; one for Japanese BBQ (燒肉), and one for crab cuisine. 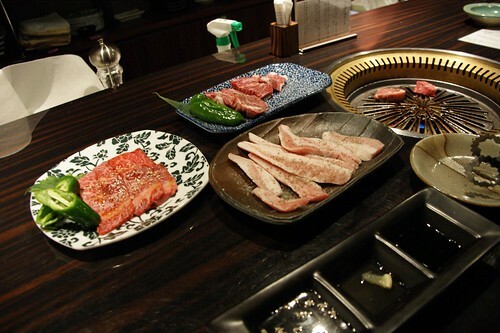 We had the Yakiniku (Japanese BBQ) for dinner in Kyoto at Umeshin (梅しん) . We visited Umeshin totally by accident. It was late and we were tired and hungry when passing by Umeshin, so we decided to give it a try. I think we were quite lucky to do so. We had tasty Japanese beef and pork for BBQ with a serve of kimgi (Korean spicy pickled vegetables) and a glass of cold Japanese beer. What else could I ask more? It was such a nice combination! 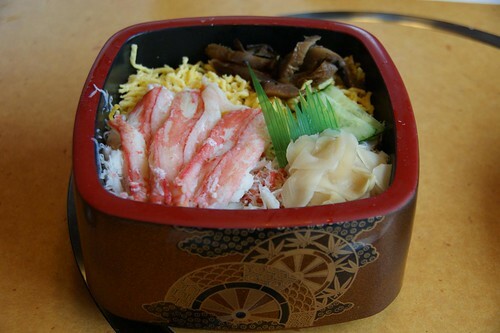 Another restaurant is for crab lovers, the Kani Doraku (かに道樂) in Osaka. The one we visited is located at Doutonbori (道頓堀) which is a major shopping and restaurant area. 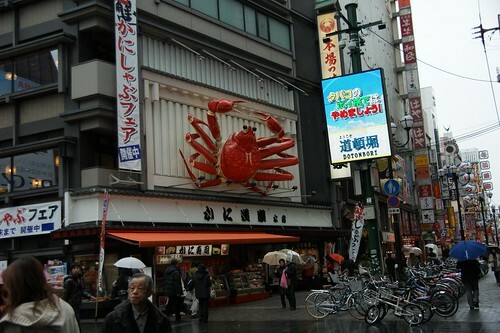 The big crab signage of Kani Doraku also became a symbol of Doutonbori. We had the crab meal as lunch before we left for airport on the last day of our trip as a wonderful ending. We ordered a serve of crab nigiri shushi and a serve of crab sushi rice, plus a glass of beer. It cost us almost JPY4,000 and did make a perfect ending of the trip. Of course, we also enjoyed other food, but not so unforgettable.